Leslie S. Barr concentrates in the areas of bankruptcy, reorganization, creditors' rights, and commercial transactions He has extensive experience representing creditors in commercial transactions, out-of-court restructurings, and bankruptcy proceedings. He has advised lenders, lessors, landlords, licensors, franchisors, and manufacturers in a variety of industries regarding bankruptcy and the structuring of transactions to address bankruptcy and insolvency concerns. Mr. Barr also has significant experience representing creditors' committees and trustees in complex bankruptcy cases. Mr. Barr has lectured before the Nassau Academy of Law concerning bankruptcy related tax issues, the Suffolk County Department of Consumer Affairs on consumer bankruptcy issues, Touro College Jacob D. Fuchsberg Law Center on Chapter 13 of the Bankruptcy Code, the Risk Management Association on non-judicial foreclosures, and various Certified Public Accountants on preferences. Virtually since its inception, Mr. Barr has voluntarily judged the preliminary rounds of the Judge Conrad B. Duberstein National Bankruptcy Memorial Moot Court Competition. 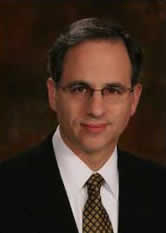 Before joining Windels Marx, Mr. Barr was a partner at Brauner Baron Rosenzweig & Klein, LLP. Before that, he was with Phillips Nizer Benjamin Krim & Ballon LLP and was an Estate Administrator for the United States Bankruptcy Court for the Eastern District of New York. Mr. Barr is a member of the New York State Bar Association, the Turnaround Management Association and the American Bankruptcy Institute.